december we hiked on the island. january, we revisited a favorite spot. 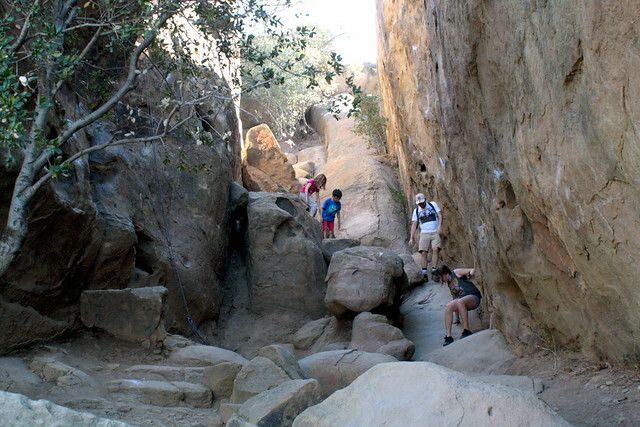 Bonus features: Really a spot for climbing more than hiking. Amazing natural rock formations and giant boulders. 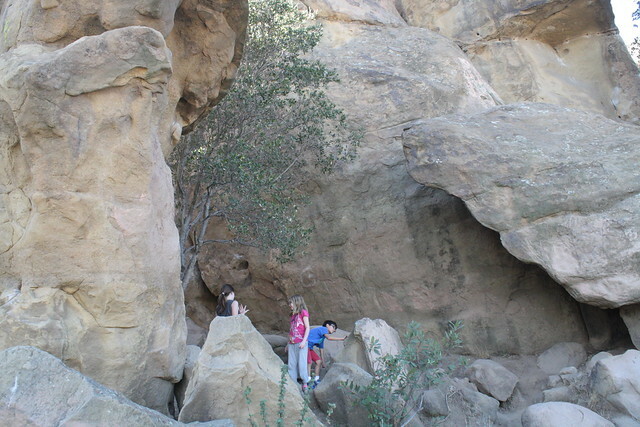 Fun look at Stoney Point as captured in old films. 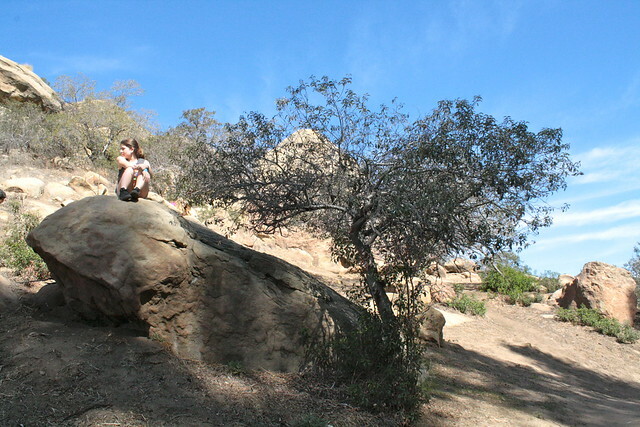 Tips: We parked on Topanga - but it was very busy so beware. An alternate would be to park on Chatsworth and follow the bridal trail to the park. We brought a picnic lunch - but there really wasn't a spot to eat - and it was a pain carrying the backpack and trying to climb. Next time we will start earlier and have lunch after. This is a busy spot for climbers. so lots to watch as well as some fun scrambling up the mountain. K: I'll give it a 9/10. The climbing was amazing. We found bones and could see the whole area. It was so so so so... so FUN!!!!!!!!! 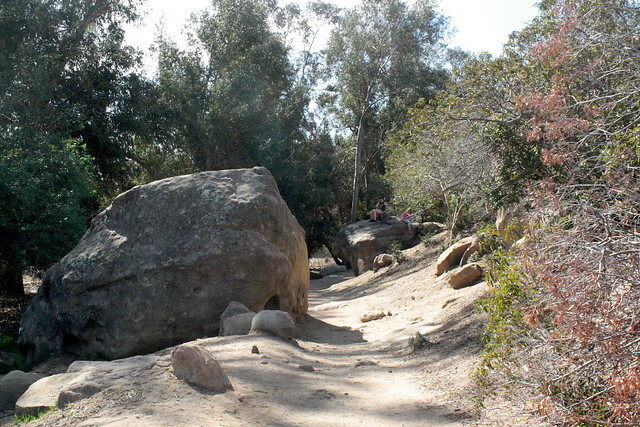 The only reason I gave the hike at Stoney Point a 9/10 instead of a 10/10 was that there was not a creek or stream or river. That would have been a lot more fun. E: 7/10. I liked climbing where I could. I wish we could have climbed more. thinking of my dad today. what better way to celebrate his memory, than being outdoors. he would have loved this. loved his granddaughters and their sense of adventure. loved the feel of being in "the old west". loved that it was 78 degrees F in February.